Ashley graduated from the University of Western Australia in 2000. 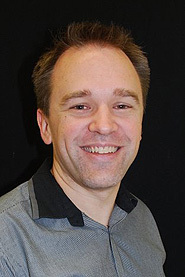 He completed his specialist radiology training in 2009, and in the same year he joined Perth Radiological Clinic. He became a Partner in 2013 and is currently Co-Managing Partner of Perth Radiological Clinic’s Rockingham Branch. In addition to his specialised radiology interests Ashley also has an interest in teaching, computers and electronic health. Musculoskeletal and body imaging, CT and ultrasound guided intervention. RANZCR WA Branch Meeting 2014: Hernias of the Groin and Pelvis.